This is definitely my run of of stunning red head starlets!..This time the actress Charlotte Lucas, at the premiere of the play Posh at the Duke of Yorks theatre London . 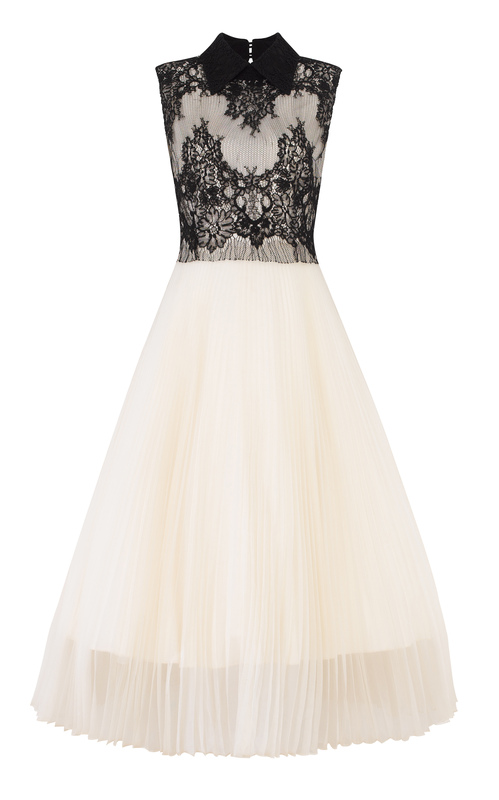 Leading role actress Charlotte chose the Forties Sweetheart Tea Dress. Perfect choice for chic fun glamour and style. 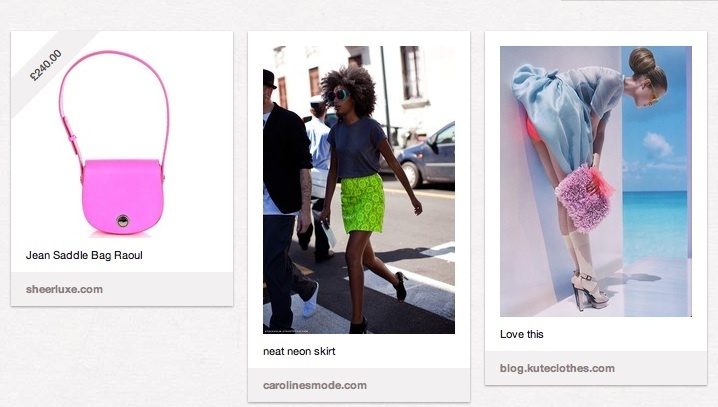 Perfect choice for chic fun glamour! 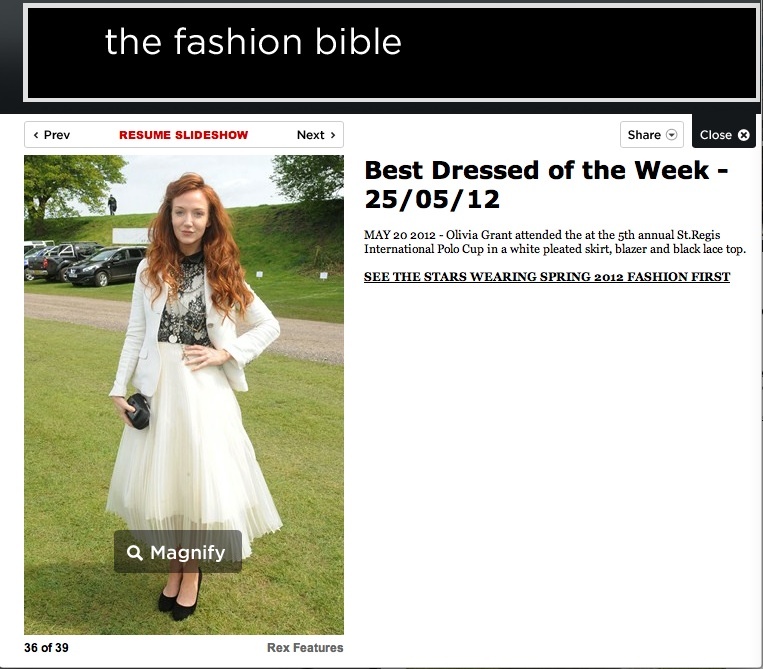 Olivia Grant in Vogue.co.uk Best Dressed of the week gallery. Ok, spoilt for choice. Tatler .com or Vogue’s Best Dressed of the week gallery. Olivia Grant the stunning actress looks simply fab in the Rock and Roll pleat dress at the St Regis International Polo at Cowdray Park. Olivia teamed it with her own simple cotton blazer and long length charm chain necklace to add her own chic spirit, and play down for the day time part of the event. I couldn’t wait to launch this amazing midi gown! The Rock and Roll couture gown. The perfect dress for any special event… ( I can certify this as I wore it for the evening of my wedding in December,..and that is what it was originally designed for). It makes you feel like a million dollars. A modern day Marilyn. Fashion fabulous enough for the red carpet. A gown inspired by the 1950’s with immaculate tailoring, precision and playful cutting to make you smile and twirl into the next decade at least!. Constructed from French Guipure lace and silk organdie with layers of silk and tulle underneath to create a knock out knife pleat sensation.